Francisco Marto was born in June 1908 and his sister, Jacinta, two years later. They were the youngest children of their parents and typical of Portuguese village children of that time. They were illiterate but had a rich oral tradition on which to rely. Together with their cousin Lucia, they took care of the family’s sheep. Francisco had a placid disposition and liked to be by himself to think. He was a peacemaker but courageous, mischievous, and had a great love of nature. He was a kind, gentle boy. Jacinta charmed all who knew her. She was pretty and energetic, and also wilful and inclined to pout when thwarted. She had a marked love for Our Lord, and was moved by the account of his passion to vow that she would never offend him again. In the spring of 1916, as the three children watched their sheep, an angel identifying himself as the Angel of Peace, appeared to them in an olive grove, asking them to pray with him. He also urged them to pray and do penance for sinners. On May 13 that year, Our Lady appeared for the first time and, thereafter, twelve more times, urging them to pray for sinners and giving them a vision of hell. 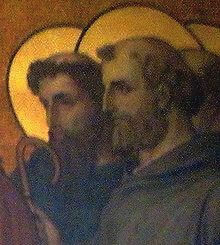 Francisco was the only one of the three who could see the visions but not hear what was said. Following their experiences, their fundamental personalities remained the same. Francisco preferred to pray alone ‘to console Jesus for the sins of the world’. Jacinta was deeply affected by the vision of hell and became deeply convinced of the need to save sinners through penance and sacrifice. All three children, but particularly the younger two, practised stringent self-mortifications to this end. The siblings were victims of the great 1918 influenza epidemic. Both lingered for many months, insisting on walking to church to pray for hours. Francisco declined hospital treatment and died peacefully at home on 4 April 1919. Jacinta was dragged from one hospital to another in an attempt to save her life, which she insisted was futile. She underwent excruciating surgery without anaesthetic, offering it for the conversion of sinners. She died, alone, on 20 February 1920, the youngest non-martyred child to be beatified. 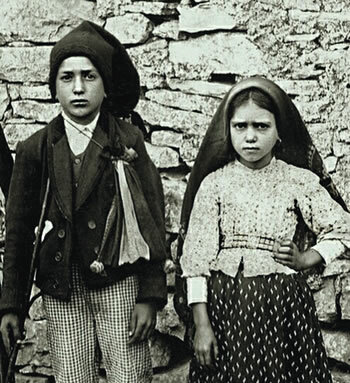 Saints Francisco and Jacinta, obtain for us a deep devotion to Our Lady. The only woman among the 117 Vietnamese martyrs, Agnes Le Thi Thanh was born in 1781, north of Cocochine (North Vietnam). She married another Christian at the age of 17. They led quiet, devout lives and had 6 children. Agnes Thanh helped native priests to travel under disguise to avoid local magistrates under orders to persecute Christianity. At age 60, she was arrested during a raid for Catholic priests at nearby villages. Because she was a woman, the magistrate ordered her to be tortured both physically and psychologically. Despite her terrors and suffering, Agnes Thanh maintained her composure and her faith. In prison, she was beaten and interrogated repeatedly. When her husband came to the jail, she told him, ‘They beat me very aggressively but I am thankful for Our Lady’s help, and should not feel pain’. Other tortures were devised for her but she prayed so earnestly that God gave her extraordinary power to endure. Visited in prison by her husband and children, she comforted them and said, ‘I entrust the children to you, trust in God. As for me, I will trust and follow Jesus to the end’. Saint Agnes, give us courage to stand up for our faith. Son of a village priest, he became a priest himself. Archpriest at Rennes, France, where he was known both as a reformer and as a peace-maker, he became a hermit in the forest of Craon, France, where he founded a community of canons. He was a noted preacher, and when Pope Urban II heard him speak in 1095, Robert was ordered to devote himself to preaching. He travelled the region, preaching missions, attracting would-be students, and being accused by his detractors of sleeping with the local women who listened to him. He founded a double monastery for which he wrote a Rule, handing over its administration to an abbess. Blessed Robert, inspire us to spread the Word of God in our society.